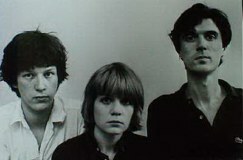 New York Art Punks The Talking Heads are one of the biggest draws that the citys prime punk venue CBGB's has, along with the Ramones. They are among the new music elite that is currently being courted by both Sire and Private Stock records companies. So confident of a contract that they've already decided that 'Pyscho Killer' will be the debuit single and are already planning the LP tracklists!!!! from deepest Leyton in East London play London's Rochester Castle pub. 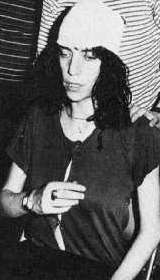 Meanwhile Miss Patti Smith, New York punk poetess and high priestess of the Bowery had this to say to the British Music Press......... "Listen, I'm over 30, nobody tells me if I can't spit on stage or not!"